Planning a corporate event in Nottingham? Considering options for your wedding day? Organising a party or intimate occasion? Whatever your requirements, the multi-award winning Harts Hotel has the solution. I have been very fortunate to have been performing magic at Hart’s for the past several years and I am always extremely impressed with the venue. Favourably located close to Nottingham Castle, and overlooking the picturesque Park area of the city, it is perfect for social gatherings. The hotel’s warm welcoming facades, state-of-the-art facilities, dedicated events team and exceptional cuisine all come together perfectly to create an exceptional experience. One of my fondest memories of Hart’s is the 2016 New Year’s Eve party. I was delighted to be invited to entertain guests in Hart’s Upstairs – the spacious function suite above the famous restaurant. It was a tremendous pleasure to provide table side magic whilst friends and families were treated to a sumptuous four course meal, along with the wonderful talents of local Nottingham musician Just Ben. For a wedding day to remember, Hart’s Hotel is a spectacular choice of venue. In September 2015 I was extremely privileged to entertain Chris and Viola Norton’s nearest and dearest. A gloriously sunny day permitted the guests to enjoy the hotel’s enchanting private garden which boasts stunning views across the exclusive Park area. Mixing and mingling with the beaming newlywed’s guests in such a wonderful location was a momentous moment in my magical career! It was a real pleasure to entertain everyone as they soaked up the sun, sipped upon Champagne and savoured succulent canapes. If you are hosting a corporate event around Nottingham, the hotel is highly experienced in providing an astounding all-round experience for you and your clients. I was delighted when Fiona Duncan, the Director of RSViP, invited me to entertain a large gathering of professional clients at Hart’s in November 2017. 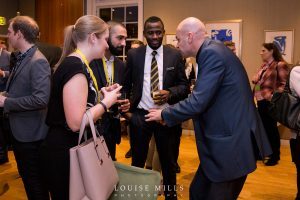 There was a tremendous buzz around the function suite and it was an opportunity for me to perform close-up magic effects which are designed to help corporate people interact and get to know each other better. Fiona even kindly requested that I customise some effects for the event with business cards, and this certainly enhanced the effect of the magic. Contact Hart’s Hotel today to find out more about how your next important event or visit to Nottingham can be truly spectacular. Their website is: www.hartsnottingham.co.uk Telephone number: 0115 988 1900. Wedding and commercial photographer Jay Glenn is the man who will capture all those special moments at your next event. Visit his website now at: www.jayglennphotography.com or phone him on: 07572604336. The author of the article is David Fox, a professional award-winning entertainer and freelance writer based in Nottingham. 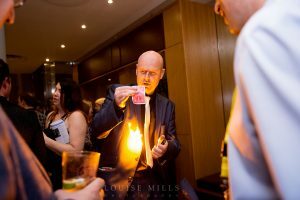 Find out more about David at: www.magician-midlands.co.uk or phone him on: 07946686258.